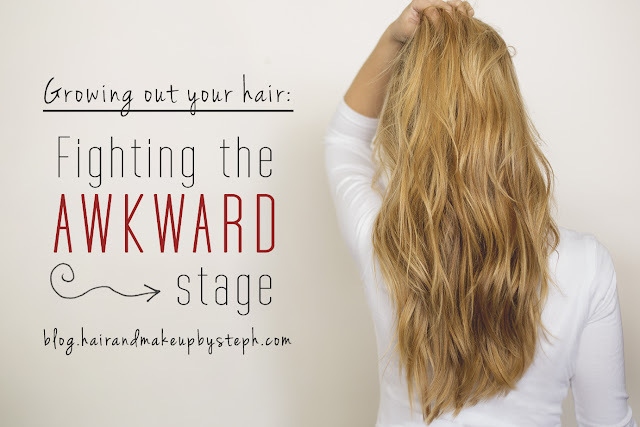 The hardest part about growing your hair out is that awkward in-between stage. It's not quite short, not quite long, and seems to hit your shoulders in a weird way that makes it look frumpy. I kept my hair short for the majority of my life. When I finally decided to grow it out after high school, here are a few things I did to help me resist the urge to chop it. 1. Accept that short hair looks different from long hair. This seems obvious, but believe it or not, this is easy to forget when you try to grow out your hair. If you have always been used to short hair, long hair will feel weird at fist. Some common things I hear from my clients are "It just doesn't have any shape" "It needs more of a style" "It feels blah" "It has no volume". Sound familiar? Give it some time. You will get used to it being longer and soon realize that it's just the difference between short and long hair that you have to get used to. Don't mistake this for the desire to cut it off. When I grew my hair out, I curled it almost every day when it was in the awkward stage. Curls will add more volume and disguise any awkward layers. If you are tempted to cut it off, try wearing it curly for a while to see if that helps. Here are some step-by-steps for beach curls, flat iron curls and how to fake natural curl. Growing your hair out doesn't mean you should stop getting it cut. I recommend going in every 8 weeks just to have it "shaped". This will keep the length but also keep the layers fresh. Sometimes layers can grow out to different lengths, making your hair difficult to style. Getting it shaped while you grow it out will help you feel like you still have an actual style, not just a grown out haircut. I also put my hair up a lot when I was trying to grow it out. The awkward stage is usually right when your hair starts hitting your shoulders, which is finally long enough to pin it up if you want to. Experiment with different ponytails, simple updos and braids. The variety will help you enjoy your hair more. This waterfall braid updo is great for medium length hair, as well as this braided headband updo. 5. Switch up the color or cut bangs. If you need variety but don't want to cut it off, switch up the color or cut some bangs. 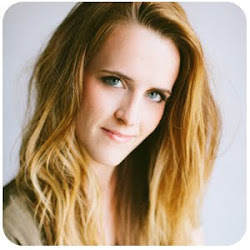 Bangs are a great way to give you a completely new look without taking off length. As for color, avoid anything too drastic so you don't end up damaging it and ruining your progress. Sometimes a little change with the color is all you need.